Well, it's been a long time coming, but I've finally done it. I've hit the publish button and Picasa Photo Hub should be updating on your phone soon. As mentioned in my previous post, I've been spending the last couple of months upgrading Picasa Photo Hub in preparation for where development on Windows is heading. It look a lot longer than anticipated, but I feel it's been worth it. I feel a little better with the shape the code is in, but more stuff needs to be done. But those changes can wait for the moment. The main objective of this update was to migrate how background backups were managed within the application, from an old mechanism that's no longer supported (LINQ to SQL) to a mechanism that's more widely supported (SQLite). However, I wanted to achieve this while preserving your data which meant I needed an update that contained both the old existing mechanism (LINQ to SQL) and the new mechanism (SQLite) and provide a way to migrate the data. I'm happy to confirm that this is in place :) Which means the first time you run the application or when a background backup occurs, your data will be migrated. 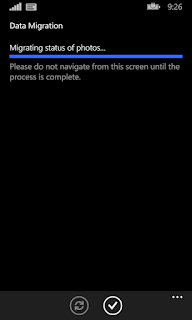 If the first scenario is encountered, you will be greeted with the below screen. This shouldn't take too long to complete. 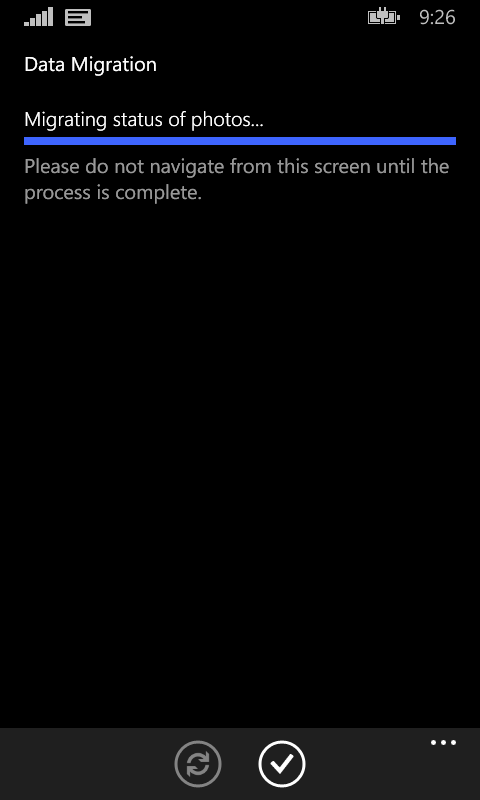 If you don't see this screen don't worry, it's probably just done the process in the background. Replace functionality - As teased in the last update, for all of you people who like to edit your photos and add filters, touch ups, etc, you can now replace the content of any photo that can be viewed within the photo hub. 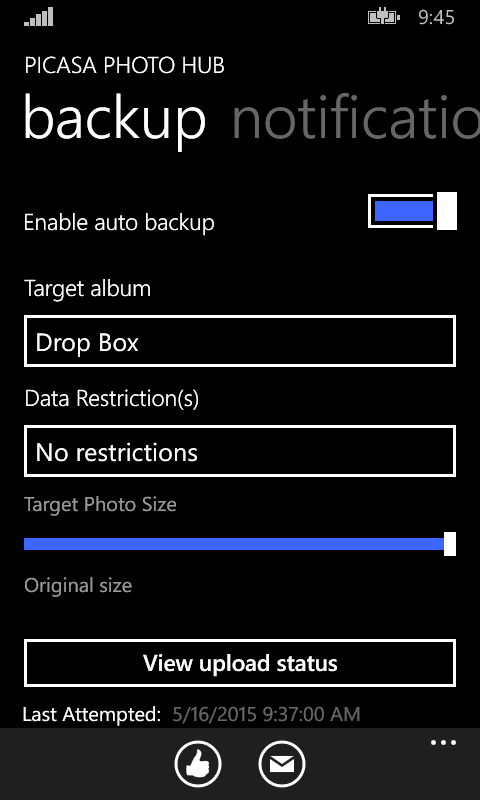 This means while I don't provide out of the box photo editing features, you can use one of the many apps available on Windows Phone and then upload the results via Picasa Photo Hub. 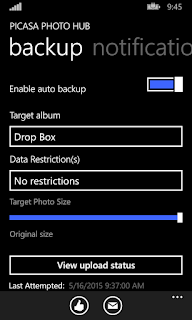 Higher Resolution Photos in Photo app - I've improved the resolution that photos are downloaded at when accessed via the photo hub. This should have happened all along, but due to a bug in the Photo app these were never downloaded. Hopefully this will improve your experience. Updated rating prompt - I've heard your cries that this is too aggressive. It was never meant to be, and for that I'm sorry. I've increased the time before you'll see this. Slight UI Changes - I've made some subtle changes to the UI mainly in the font to be more subtle and updated the image size selector to be hopefully more pleasing to see and use. I hope you enjoy the update. If you have any comments, don't forget to email or tweet me or leave a comment below.